On this remembrance weekend, they were plenty of upsets in the English Premier League. Out of the top nine sides, only three won, as Tottenham, Manchester City, Chelsea, Everton and Arsenal failed to record wins. Liverpool demolished Fulham, whilst Sunderland won against City again at the Stadium of Light. Spurs fell to a Tim Krul inspired Newcastle, and Chelsea needed a late, debatable penalty to gain a draw against West Brom. Top of the table Arsenal faced Champions Manchester United at Old Trafford, in something of a six pointer for the Manchester club. If United lost this game, they would be 11 points behind The Gunners, whilst a win would throw them right back into the title race. So the match was set up perfectly. It was a Robin Van Persie goal that was to be the difference for the home side, as a goal from his head/shoulder nestled in the corner of the net. Arsenal came close on a few occasions, Bacary Sagna’s crossing was of immense quality, but Manchester United held on to claw Arsenal back to five points and to put David Moyes men back in the title picture. Bayern Munich have gone four points clear at the top of the Bundesliga following their 3-0 victory over Augsburg. Leverkusen won 5-3 in an all action game against Hamburg, to close the gap on second placed Dortmund, who contrived to lose against at Wolfsburg. The really question is can anyone stop Bayern from running away with it for a second successive season? AS Monaco’s start to the season has stuttered over the past couple of weeks, as they have begun to lose ground on leaders PSG. Five points now separate the principality club and Parisian leaders. Roma drew their second game in a row after conceding a 94th equaliser, to allow Juventus to close the gap to just one point, following their 2-0 win over title rivals Napoli. Has the wheels begun to fall off the Roma bandwagon? Questions are sure to be asked. Barcelona extended their lead in the La Liga this weekend, with a 4-1 victory over Betis. A Ronaldo hat-trick kept Real Madrid, six points behind the league leaders, whilst sandwiched in between the two, Atletico Madrid, drew with Villarreal, meaning they are three points behind Barcelona, yet three points in front of their City rivals. Newell’s Old Boys have failed to win in four games now, though they will not be too disheartened at the past weekend’s result. Playing second in the league San Lorenzo, a draw meant Newell’s stayed top by two points. Boca Juniors are now within two points of the league leaders also. Brazilian Serie A leaders Cruzeiro grip’s on the league title gets stronger each week. Another win and another three points, means they keep a 13 point gap between themselves and Atletico PR. 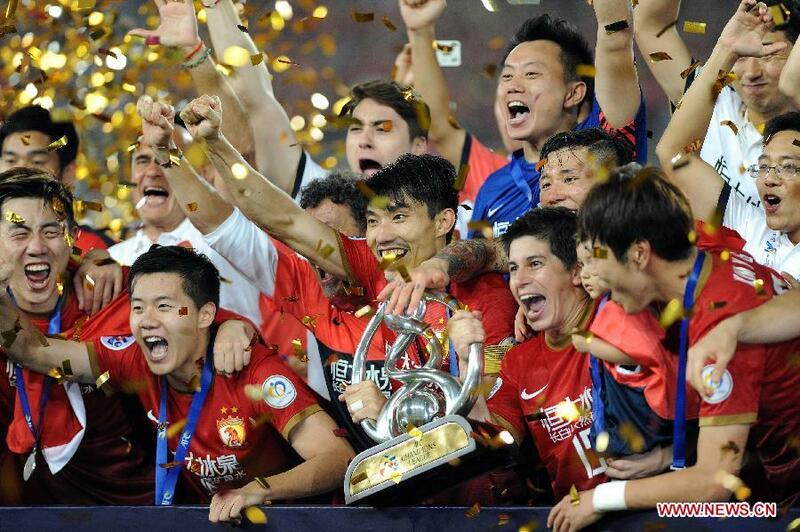 Meanwhile in the Asian Champions League, Guangzhou Evergrande became the first ever Chinese side to win the tournament. They won the trophy on away goals against FC Seoul of South Korea. It also meant that Marcelo Lippi is the first manager to win both the European and Asian tournaments. This entry was posted in World Round-Up by Dominic Hanley. Bookmark the permalink.